Stevia is one of the most popular “natural” sweeteners, and it enjoys a reputation as a healthier sugar replacement. However, just how good an option is it? This article takes a look at the research on stevia as a sweetener, from the health benefits to the risks and potential side effects. Stevia is a sweetener extracted from the Stevia rebaudiana plant. The leaves of this plant contain sweet-tasting active compounds known as steviol glycosides. In fact, these compounds are anywhere between 150 and 300 times sweeter than sugar (1). The most significant among these glycosides is a compound called rebaudioside A, and many sweeteners use pure extracts of this compound. The second glycoside is called stevioside. Extracting these steviol glycosides from the plant’s leaves produces a concentrated, intensely sweet taste. Upon ingestion, our digestive system breaks stevia down into a compound called steviol glucuronide, which is then excreted by urine. Stevia sweetener now enjoys commercial success as a non-glycemic, zero carb, and calorie-free sugar alternative. Although it may seem like a new product, stevia has a long history going back to ancient times. In some countries such as China and Paraguay, pure stevia leaves have been valued for their natural sweetness for centuries (2). Key Point: Stevia is an intensely sweet extract from the leaves of the stevia rebaudiana plant. It is used as a calorie-free sweetener. Powdered stevia extracts provide a powerful sweet taste; just one teaspoon is equivalent to a cup of sugar. Due to FDA regulations in the United States, only stevia extracts that contain a 95% or higher concentration of steviol glycosides have GRAS status (3). GRAS stands for ‘generally recognized as safe,’ and any food additive that does not meet this requirement cannot legally be sold as an ingredient. This powdered form of stevia works best for baking. Since it doesn’t liquefy unless it reaches high temperatures, it does not dissolve readily in tea or coffee. Stevia is not naturally a white powder, and to create this product requires a certain amount of processing. To make powdered stevia, producers may either use water extraction or solvent extraction techniques. However, most of the big brands use the latter solvent processing method. This process involves using solvents such as acetone, alcohol and methanol to extract the steviol glycosides from the leaves (4). Following this, the solution undergoes a re-crystallization process to create the powder extract from the concentrated sweet liquid solution. Stevia liquid drops are made in a similar way to the powder extracts; the only difference is that there is no re-crystallization process at the end. In contrast to the powdered form, liquid stevia works well in drinks such as tea and coffee since it is easy to mix in. Despite popular opinion, it is also possible to use liquid stevia in baking, and approximately one teaspoon is equivalent to a cup (200 g) of sugar (5). It is possible to buy the whole leaf form of stevia, the most natural option of all. Stevia leaves may come in two varieties; the regular full-size dried leaves are one kind, and you can also find powdered forms of the dried leaves. Although the real leaves are nowhere near as sweet as the concentrated sweeteners, it does have a mildly sweet taste. 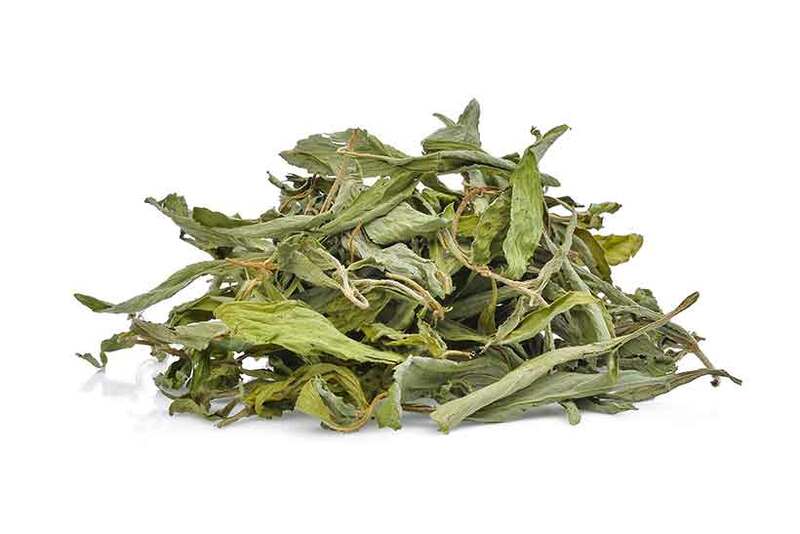 Stevia leaves work well to flavor tea, and they are a good sweet herbal tea drink on their own too. However, they are not the right fit for baking. The fourth kind of stevia sweeteners are the various stevia blend options. However, be careful with these. On the negative side, some of these blends contain only minimal amounts of stevia alongside larger quantities of a different ingredient. Often, the main ingredient is erythritol, a sugar-alcohol which is also non-glycemic and zero carb. However, on other occasions, stevia blends may also contain dextrose, which is a pure sugar. Since most people are probably buying stevia to avoid sugar, this is the last thing we want to be included in the blend. Key Point: There are four main varieties of stevia on the market; whole leaf, powdered extracts, liquid extracts, and blends that contain additional ingredients. Why Use Stevia As a Sweetener? First of all, the most resounding reason to consider using stevia is as a sugar replacement. If someone does not already use sugar to sweeten food or drinks, then there is no real reason to start using stevia. However, using it to replace (or cut down on) sugar can bring many advantages. With all the news in the media about the harms of sugar, many people are doing their best to lower their intake or avoid it altogether. Despite this, some people still want to enjoy the occasional sweet treat or a sweetened cup of coffee. For such individuals, stevia can be a healthier way to consume these items. There is also the fact that stevia contains zero carbohydrates and has no glycemic response, which makes it suitable for people with diabetes (6). Key Point: The main reason to consider stevia is that it offers a similar taste to sugar, but without the negative effects. Let’s now examine some of the benefits stevia can provide. One of the most important considerations here is dental health. Unlike sugar, stevia does not negatively affect oral health, and it does not lead to tooth decay. Bacteria species in the mouth rely on fermenting sugars to produce the acids that can damage tooth enamel (7). Given many people are significantly over-consuming sugar, rates of tooth decay and dental problems have been increasing in recent years, especially among young children (8). Since stevia contains no fermentable carbohydrate, it is not harmful to our dental health (9). Key Point: Stevia does not contribute to tooth decay, and it has a neutral effect concerning oral health. Based on the wealth of existing evidence, stevia appears to be much better for health than sugar. For one thing, systematic reviews show that higher levels of sugar consumption appear to increase the risk of type 2 diabetes and obesity (10, 11). Additionally, systematic reviews demonstrate a link between sugar-sweetened beverage consumption and obesity and risk factors for cardiovascular disease (12, 13). As mentioned previously, sugar also negatively impacts our oral health, whereas stevia does not. Key Point: In view of current evidence, replacing sugar with stevia decreases risk factors for several adverse health outcomes. Diabetes affects millions of people around the world, and if not controlled, it can lead to complications such as peripheral neuropathy and cardiovascular disease. On the positive side, tight glycemic control (maintaining low blood-glucose levels) can reduce the risk of diabetes-related complications (14, 15). Since sugar drastically raises blood glucose and insulin levels, replacing it with a non-glycemic sweetener like stevia can help with regulating blood sugar. Additionally, stevia may have some extra benefits for people with diabetes. In a randomized trial, all patients drinking tea sweetened with dried stevia leaves experienced a decrease in blood glucose and blood pressure. In a pre-diabetic group of patients, consuming purified stevia extract (rebaudioside A) for 2 weeks had zero effect on glycemic response. A systematic review of randomized trials finds that across nine studies with a total of 756 patients, steviol glycosides significantly reduce blood pressure and fasting blood glucose levels. In a randomized, double-blind, controlled trial, a 200 mg dose of stevia led to no glycemic response in obese patients. Key Point: High-quality studies demonstrate that stevia is a much healthier choice than sugar for patients with diabetes. Furthermore, stevia may even help in regulating blood glucose. First of all, we should be clear that stevia has no magical effect on weight loss. There is no such thing as a magic pill, and no food (or supplement) will make fat drip away. However, replacing calorie intake from sugar consumption with calorie-free stevia can help reduce the overall daily energy intake. For instance, if someone is drinking several cans of soda and sweetened hot drinks every day, the calories can add up. Switching out these sugary options and substituting them with stevia-flavored drinks can, therefore, indirectly lead to weight loss. Key Point: Replacing energy-dense sugar-sweetened beverages with stevia-sweetened options can dramatically reduce calorie intake. As a result, weight loss may follow. As we have seen, replacing sugar with stevia has numerous potential benefits. However, are there any health concerns or risks from stevia consumption? Here are the important things to note. Although the FDA has given refined stevia extracts ‘generally recognized as safe’ status, it has yet to do so with whole leaf stevia. As mentioned earlier, only extracts that contain more than 95% steviol glycosides (the active sweet compounds) are authorized for use as a food additive. The reason for this is because there is not enough evidence for the safety of the raw stevia leaves yet. While it is possible to buy the whole leaves by themselves, it is illegal for manufacturers to include them in their food or drink products. Does this mean that whole stevia leaves are dangerous? No, it just means that sufficient studies to dispel safety concerns are yet to be done. This fact could be because selling whole leaves is a lot less profitable than making expensive extracts, and as a result, funding may not be forthcoming for such studies. Either way, it is just something to be aware of. Key Point: Only stevia extracts are ‘generally recognized as safe’ by the FDA. It is a common question, but there are not many specific studies investigating this issue. The first point to consider is that a sweetener would not be given ‘generally recognized as safe’ status if it provided a unique risk to children. 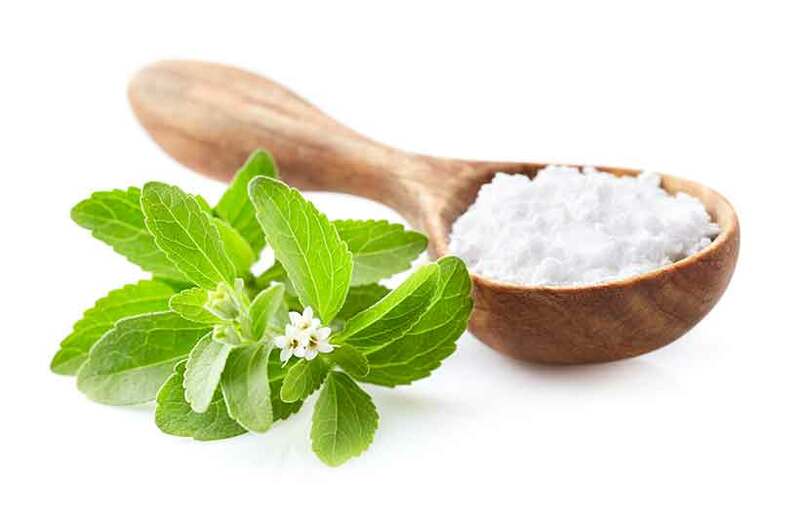 Furthermore, while one research review of stevia suggested it is beneficial for children, it likely depends on how the sweetener is being used (20). For example, it is no secret that dental caries is an increasingly significant problem in young children. On this note, one recent study found that 54% of children have either decayed, missing or filled teeth (21). With this in mind, replacing sugar with stevia could be beneficial. However, is just adding stevia to a child’s healthy diet beneficial? Probably not, since it is only a non-nutritive and non-essential sweetener. Lastly, like many other food products, stevia has an ‘acceptable daily intake’ (ADI). 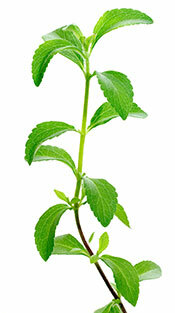 For stevia, this ADI is 4 mg of steviol glycosides per kilogram of body weight (22). Although these ADI guidelines generally leave a large (100 fold) safety margin, it is always better to be on the safe side. See here for more information on understanding the ADI limits. Key Point: No evidence suggests harm from stevia consumption in children. Conversely, replacing sugar with the sweetener will improve dental health. Can you still use stevia if you are pregnant? According to the American Pregnancy Association and the FDA, the answer is yes (23). Stevia is generally recognized as safe during pregnancy. Despite this, I would personally like to see more scientific research on what in utero effects stevia (and all sweeteners) may have. That said, there is no evidence of harm, hence stevia is ‘officially’ (FDA) safe for pregnant women. Key Point: The FDA and American Pregnancy Association deem stevia use ‘safe’ during pregnancy. Back in the 1990s, several recent animal studies had suggested that stevia could increase cell proliferation and potentially cause cancer. As a suspected carcinogen, the FDA (as well as the EU) soon banned the sale of stevia. However, it finally received generally recognized as safe status in 2008 and has been on sale since then. One slight concern is that some rat studies have demonstrated that stevioside can damage DNA (24). Of course, humans are not rats, and most of the stevia extracts tend to use rebaudioside A rather than stevioside. There are no long-term human studies concerning stevia’s safety. Key Point: Some extracts from stevia leaves have shown potential carcinogenic activity in animal studies. However, at the current time, the FDA deems stevia to be safe. All food and ingredients can affect different people in different ways. However, most of the side effects of stevia intake come from the stevia blend products. Since stevia is intensely sweet, these blends feature a significant amount of sugar alcohols (such as erythritol or xylitol) and a small amount of stevia. Unfortunately, in some people, sugar alcohols can cause digestive issues such as abdominal pain, bloating, cramps, diarrhea and gas (25, 26). Anyone experiencing such issues may benefit from switching to a pure stevia sweetener extract rather than a blend. Key Point: Stevia products that also contain sugar alcohols may cause digestive distress in large doses. Final Thoughts: Is Stevia a Healthy Choice? From the research, there are only a few concerns about stevia, and there is no evidence of the sweetener causing harm in human studies. In fact, most studies show that it provided some benefits. All in all, the majority of the research suggests this sweetener is a healthier choice than sugar and artificial sweetening options like aspartame and sucralose. However, is stevia specifically “healthy”? I would say we should try to limit our consumption of processed sweet-tasting compounds. That said, this does not mean that stevia is particularly “bad” either. As long as we base the majority of our diet around whole, nutrient-dense foods, then stevia is one of the best sweeteners for when we want something sweet. Glad to hear that, Ola. Sweeteners can certainly be a good replacement for sugar. I’m diabetic and I drink the lemonade packets with Stevia in them….Are they bad for me? According to the studies, stevia doesn’t affect blood sugar levels (not sure what else is in the packet though). It is wise to consider what plants or herbs you are allergic to, in the event Stevia is in the same plant family. I think it is always wise to consider these things. If you feel you have any kind of sensitivity or reaction to an ingredient, it is better not to consume it. Great article. Thanks for providing this information Michael. Thanks for reading! Glad you enjoyed. Yes, that does sound a little strange. But we can all have strange reactions to different foods/ingredients. Another alternative you could try is erythritol (a kind of sugar alcohol) – just in case you haven’t given it a go yet. Since it’s plant based that is an all natural alternative to sugar. One packet a day is not bad and once in a while in a dessert is not bad either. Yes, there’s nothing to worry about for occasional use. Very good information. I switched from 4 or 5 diet cokes per day to iced tea with powdered stevia. Soooo glad I found it.